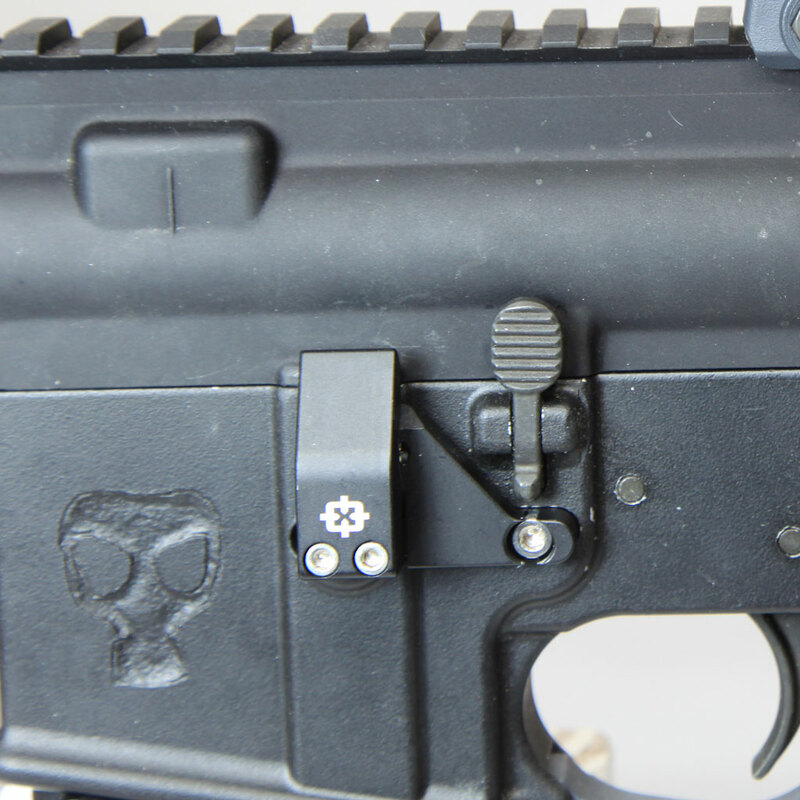 SAFE MAG is a safe and easy magazine release and lock system for AR-15 and M4 rifles. SAFE MAG automatically releases your magazine when the upper and lower receivers of your weapon are separated. 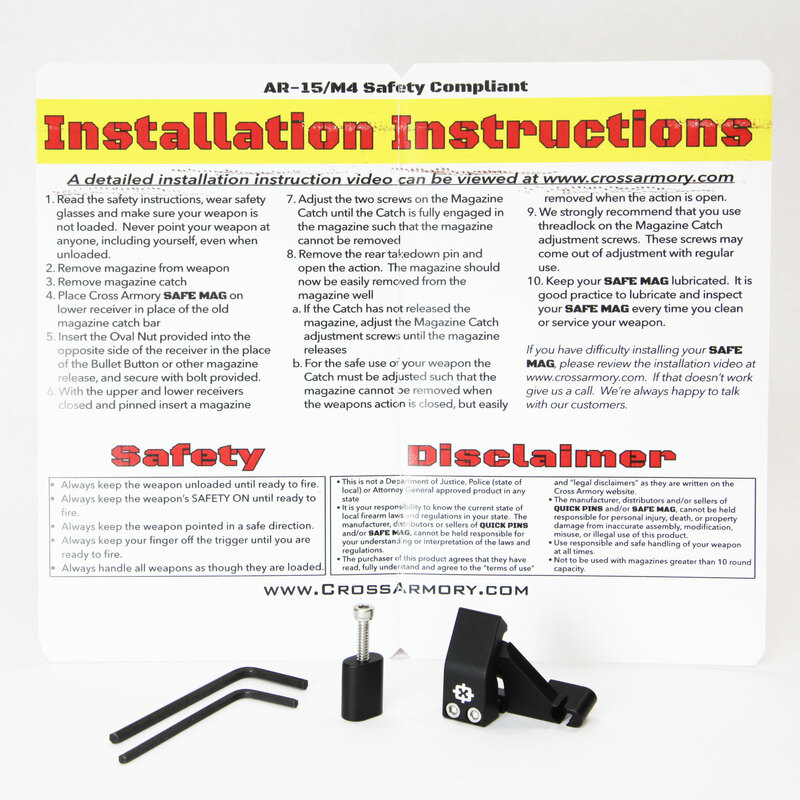 SAFE MAG is among the most convenient fixed magazine lock and release system on the market. 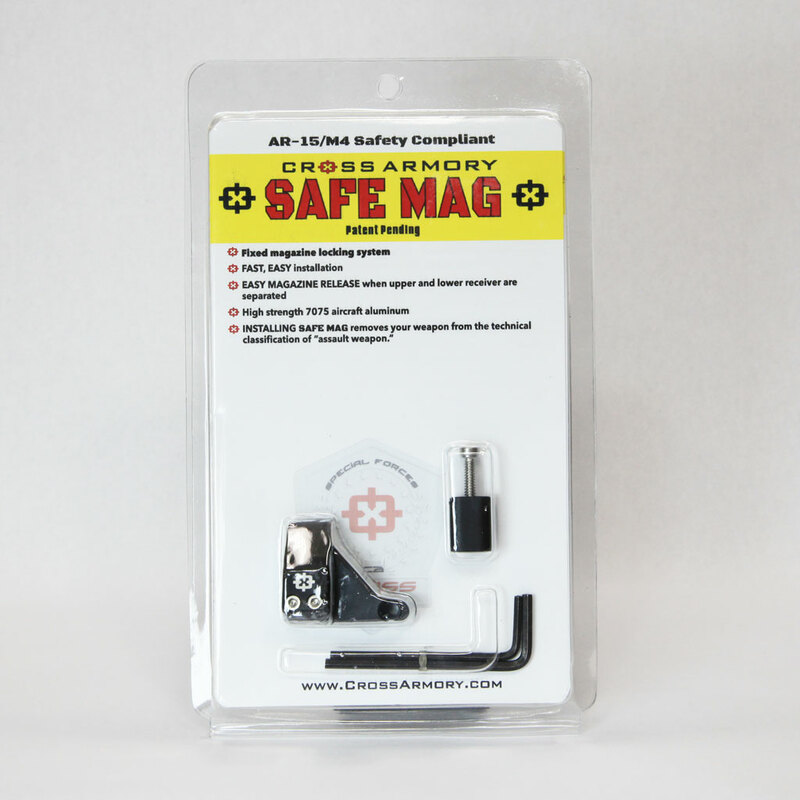 Cross Armory’s SAFE MAG is a modification, designed in California, for weapons in regulated states that require fixed magazines, such as CA NY CT MA MD and other states. 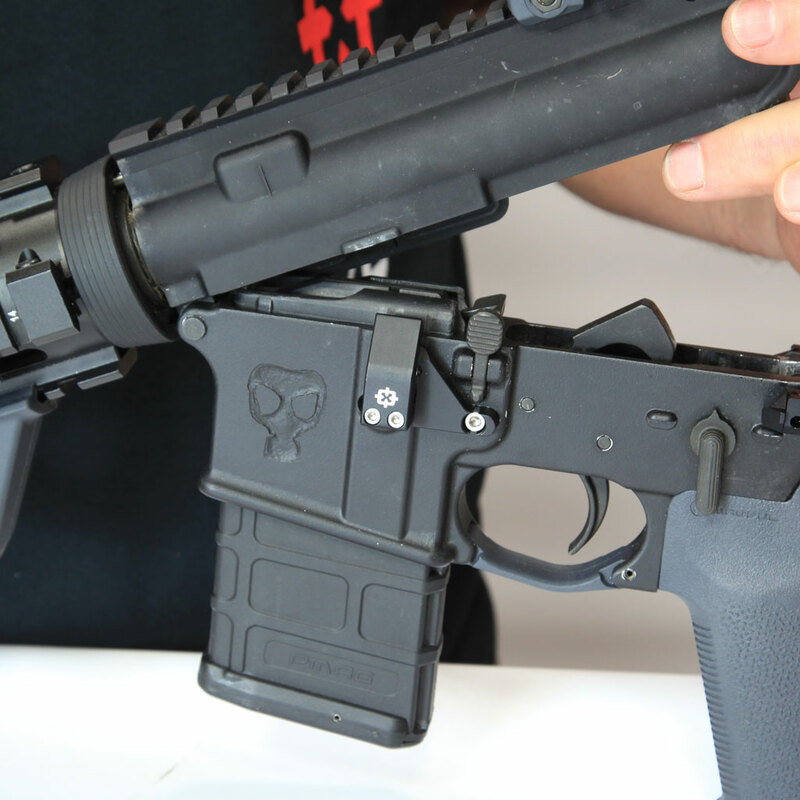 The Cross Armory SAFE MAG works by releasing your magazine instantly when you separate the upper and lower receivers of your AR-15 or M4, without having to press a button. 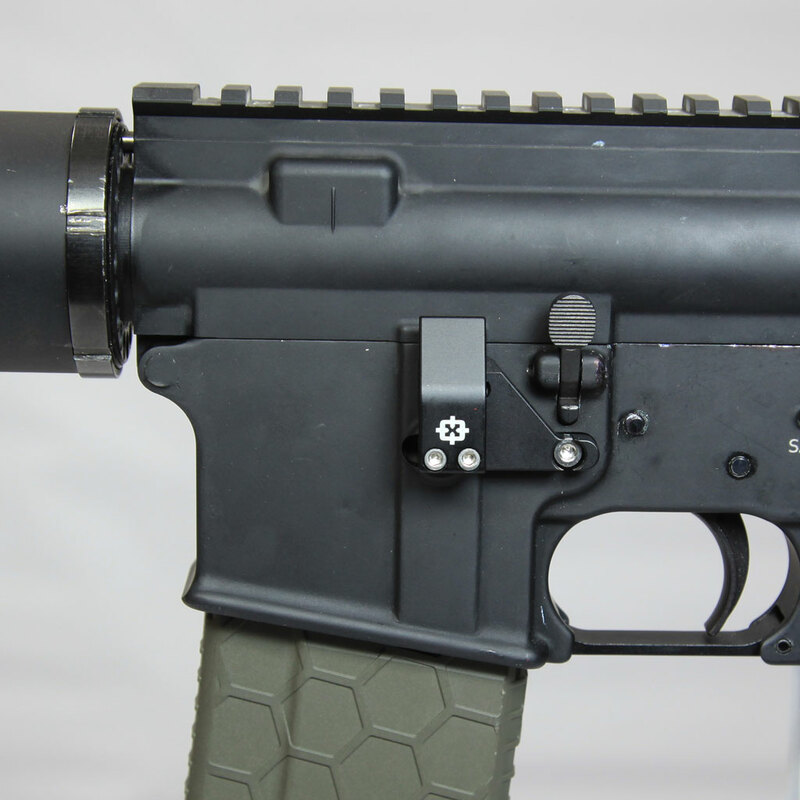 Cross Armory’s SAFE MAG is intended to be consistent with the fixed magazine laws which state that your weapon must have a “fixed magazine” which has been defined as “an ammunition feeding device contained in, or permanently attached to, a firearm in such a manner that the device can not be removed without disassembly of the firearm action.” The firearm action of an AR-15 and M4 is housed in the upper and lower receivers. Separating the upper and lower receiver to release your magazine disables the firearm action. Cross Armory’s SAFE MAG also allows for insertion of a new magazine when the upper receiver and lower receiver are closed, without bending or stressing the hardware of the weapon or of SAFE MAG. 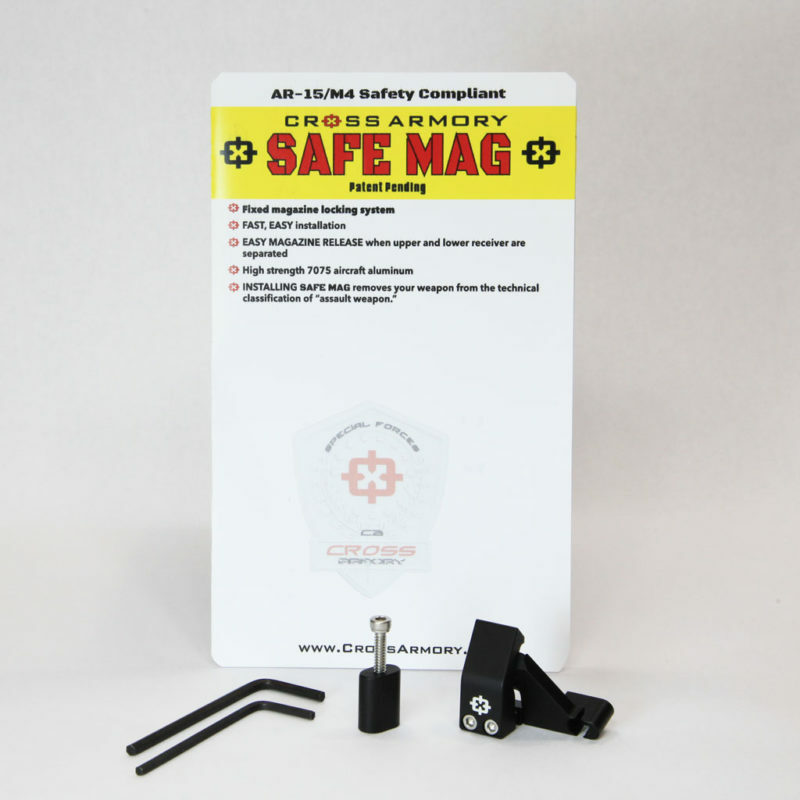 Cross Armory’s SAFE MAG is a reliable, durable and easy-to-install magazine release. When paired with the Cross Armory’s QUICK PINS, magazine changes can be performed efficiently and with a minimum of inconvenience to the user.